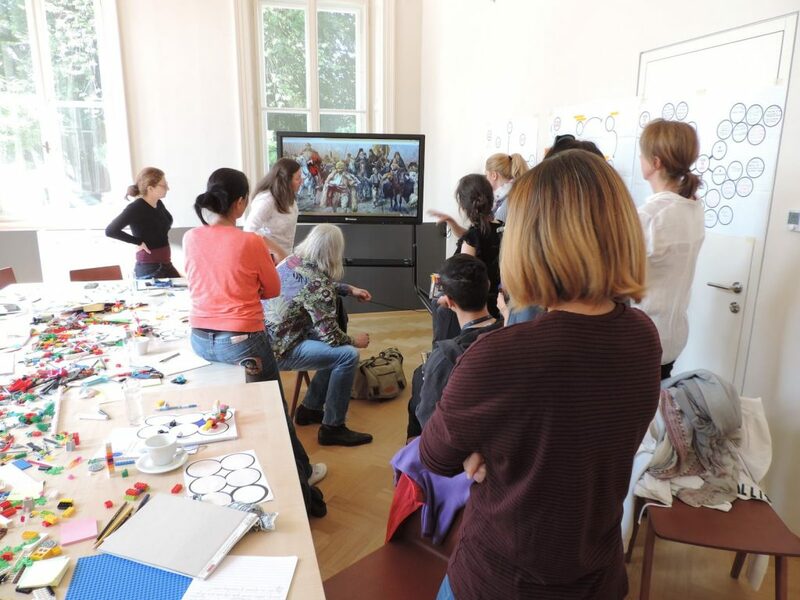 Change museum’s way of working, disturb their business as usual, have them interact with audiences – make the young visitors part of their collections. Train the trainer. Speak daringly, focus on the emerging global topics. By choosing works of migrants in national galleries and museums. By showing that migrations are not a new phenomenon: some migrants from previous centuries were artists and their works became national treasures. Works themselves migrate from an author to an owner and to a museum, and from there between museums. Bringing to life historical issues in the present migration situation, culture has the power to expose what is happening around us. This is the thread of this project. Go viral, engage the young audience and create a virtual collection of their reflections of the world around them. Brick them. Make them embrace empathy. incorporate advanced methodologies into museum programming. 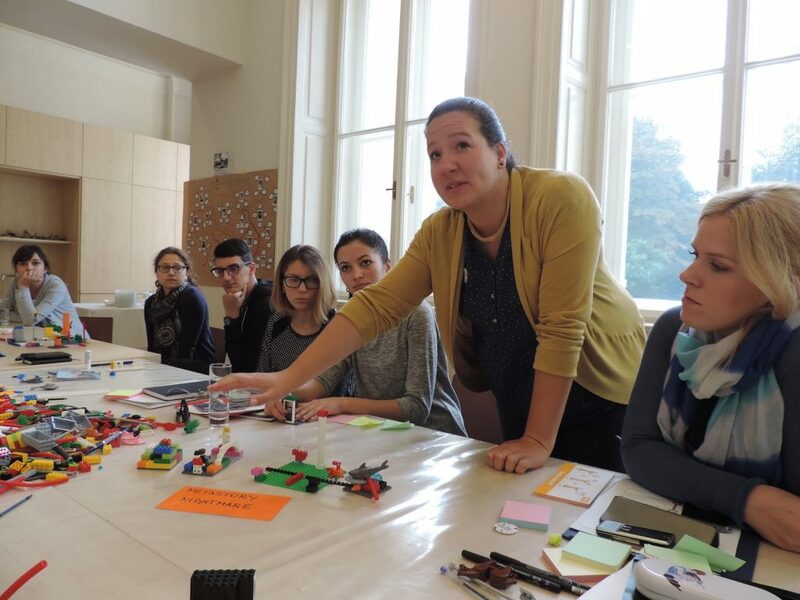 HearMe workshop builds on several methodologies (BrickMe, (Design Thinking, Gamification, open art dialogue) and adapts them to museums. In the workshop, we construct own statements out of physical material. Although everybody uses the same material, each model looks different. We explore the differences and similarities through critical thinking. We contextualize our positions. Everything becomes more complex. Connections are made, relations between models are built. Our absolutist view becomes part of an intricate web. Then, a hypothetical situation arises and we have to solve it. Who moves where? What does that mean? Who does it affect? Employing teamwork, ingenuity, problem solving and social skills, we co-create a solution. Through mobiles, it goes viral. We connect our realizations with works of art. In museum permanent collections, we explore art made by migrant artists, migrant motifs and works that moved between countries. Why were they moved? What did they leave behind? How did they change? How would we act in a similar situation? Thus, through a series of exercises, art becomes alive. Now, it is a part of solutions to pressing issues. Now, we understand. Now, we work together. Now, we hear. The video collection reflects the findings of the project. This video is a clear example of how powerful is the BRICKme methodology. The visitor faces a question “what if I have to leave home now.” The art curator and the guest experience art in a different way. Highly emotive. This clip talks about giving the kid the voice to express them through art. Build, share and reflect. Changing the perspective is the challenge. What if the paints are talking and asking you to express yourself.? This video is about the journey to discover things you did not think about it. The process of transformation started in all museums. The video talks about changing the way collections are presented to the public. Thinking and Giving to the piece of art a new perspective from a different angle.